A highly ornamental Oakleaf variety which produces masses of deeply lobed leaves which are perfect for baby leaf salads. The thick leaves have good flavour and texture and the compact plants will grow easily in a pot as well as in the garden. 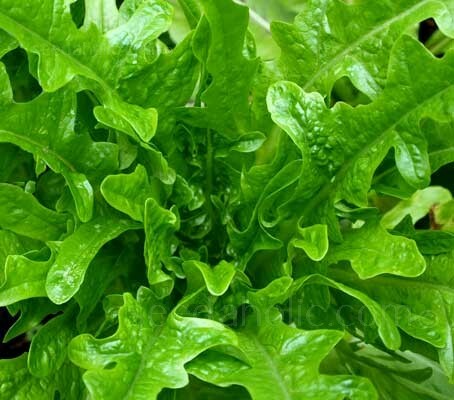 Oakleaf Lettuce was first described way back in 1686 and has remained popular among gardeners ever since due to its tasty oak-leaf shaped, green leaves. This variety tolerates heat very well, but also excels in cooler climates. 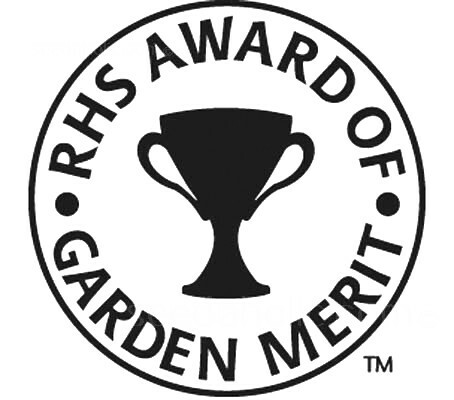 Lettuce 'Catalogna Cerbiatta' has been awarded the RHS Award of Garden Merit (AGM). Whether you have an allotment or a window box; a smallholding or a large one; a de Thame garden or a Wilde one, there is a lettuce for every location, in every season. Lettuce will grow in conventional garden soil, or in a Gro-bag or a pot, on any soil-based or soil-less compost. Lettuce will grow in a tub on the patio, in a pot by the back door, in a window-box, on a balcony, on a roof-garden, or even on the bathroom window-sill. If you have none of these, then you must be an alien, and probably don't need to eat lettuce! Lettuce can grow from seed to salad in about 1 month in many regions, and only a little longer in others. The key to tender and tasty lettuce is rapid growth, however lettuce has a relatively shallow and compact root system that doesn't absorb nutrients and moisture from the soil very efficiently, which can slow the growth. So to encourage fast growth, add plenty of finished compost before planting and again as a side-dressing a week or so after seedlings appear or transplants are planted. Give supplemental feedings of compost tea every few weeks until harvest. Sow indoors: Anytime of year for Babyleaf and 4 weeks before transplanting outside. Spacing in beds : Leaf lettuce for continuous harvest: 1.3cm (½") in bands. 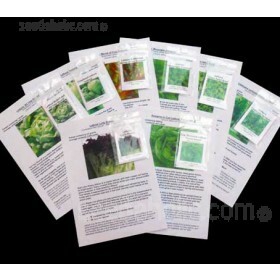 Sow at a seed depth of 6-13mm (¼-½") Seed will germinate in 7-14 days. Sow seeds in short rows about 30cm (12”) apart. To do this, make a shallow trench with a cane about 1.5cm (1/2”) deep. Tip a small amount of seed into your hand, take a pinch and spread thinly along the trench. Cover with soil, label and water. If birds are a problem in your garden, spread netting to prevent them eating the seed. Since reading about the amount of salad bags that are recalled, whether it be through outbreaks of E-coli or Salmonella, We have also found out that they wash the leaves with chlorine, fumigate with ozone and then "adjust" the oxygen and carbon dioxide levels in the bag to keep the lettuce fresh longer – No wonder they taste weird - Yuk! - Grow your own, wash your lettuce well and dry with a salad spinner. Of course this runs contrary to what some professionals would like you to believe.